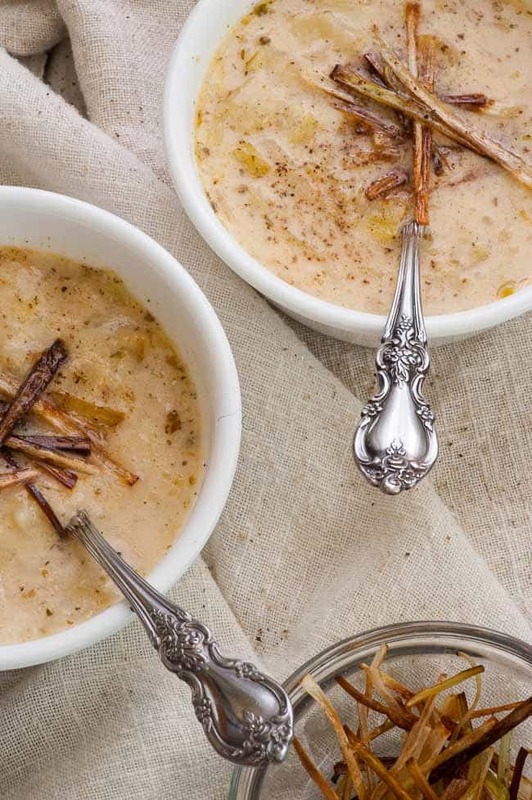 Creamy potato leek soup is healthy comfort food. Perfect for a winter meal or as a first course. MaryJo picked up a package of leeks from our neighborhood market. The leeks came three to a package and cost about $3.00. I had just the day before watched an episode of Diners Drive-ins and Dives on Food Network and jotted down a recipe for clam chowder. I know you’ve watched the show…the chef throws this and that into their dish and they never really give any amounts. You just have to guess. 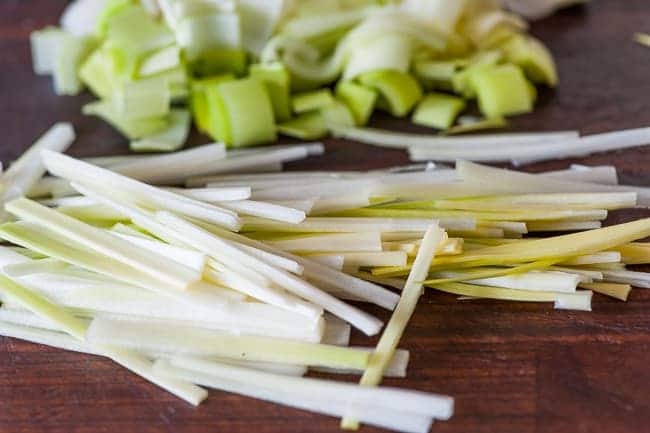 When I saw the leeks, I immediately thought…leek chowder. 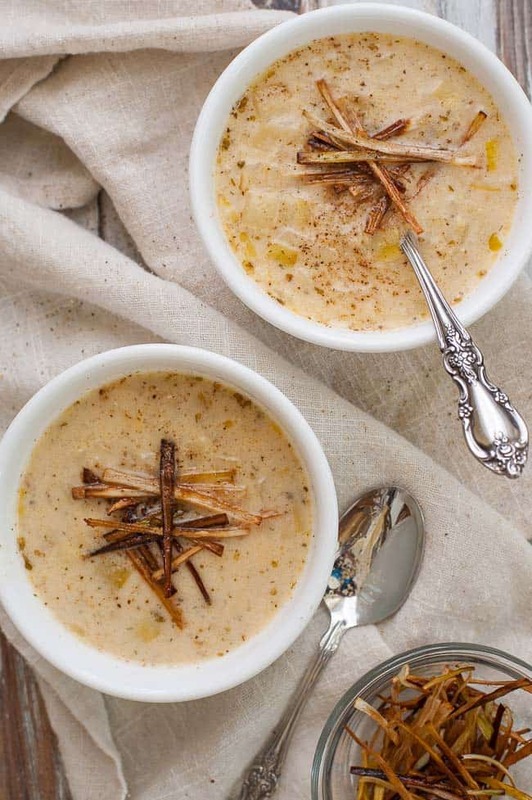 I’d incorporate some of the clam chowder ingredients into my potato leek soup. Turns out, it was only the use of some white wine that was the same. Clam chowder seasonings would not be right for potatoes and leeks. I was trying to come up with a flavor profile for the vegetables and kept coming back to herbes de provence. We actually have 2 different brands of herbes de provence, Penzeys spices and an off brand. They contain similar spices but in very different amounts. The Penzeys ingredients are: rosemary, cracked fennel, thyme, savory, basil, tarragon, dill weed, oregano, lavender, chervil,and marjoram. The other brand has: basil, oregano, fennel, lavender, parsley, tarragon, rosemary, sage, thyme, and marjoram. The order of the spice list is the quantity from most to least. As you can imagine, the two smell totally different. I’m not picking sides on which would be best, they’re just different. Seeing this, I decided to pick out a few seasonings I like and mix them together. Turned out pretty dang good. The seasonings I used should be ones that people usually have on hand so you don’t have to go out and buy Penzeys herbes de provence to duplicate this recipe. Just trying to keep things simple. 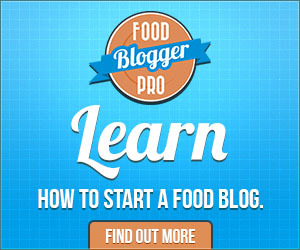 The idea to do some fried leeks for garnish came from another blogger, Delicious Dishings. I saw a photo on Pinterest and liked the idea of crunchy fried leeks. You could also use other things for garnish, like, croutons, chopped fresh parsley, green onions, chives, bacon bits. Everything’s better with bacon, right? The soup is a little thin since it contains a lot of liquid. To thicken it up, take a potato masher and do a coarse mash on the potatoes. This could be done with an immersion blender too, but that would have also chopped up the leek pieces. I like the slight crunch of the larger leek pieces when kept whole. 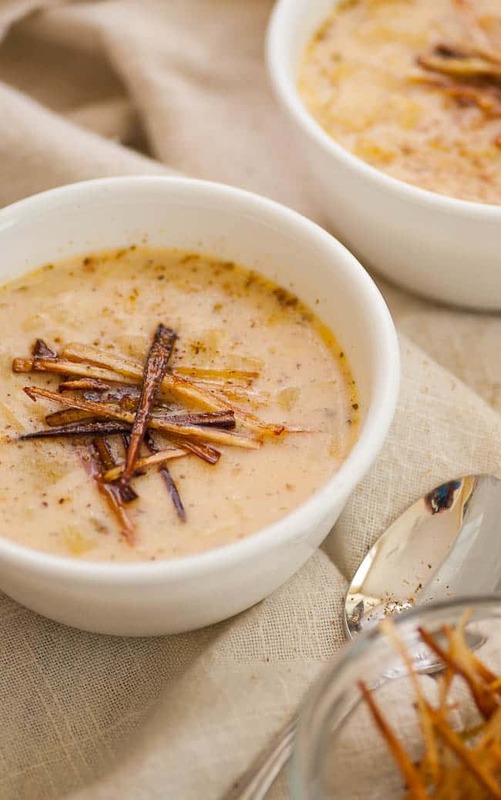 Try this creamy potato leek soup. You’ll like it. Easy main course meal or use it as a first course. 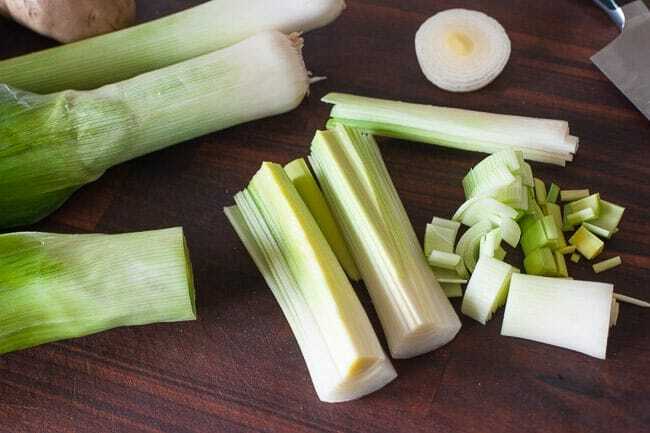 3 leeks, quartered lengthwise, cleaned and chopped Use 1/2 of a leek to cut fine slivers for browning. 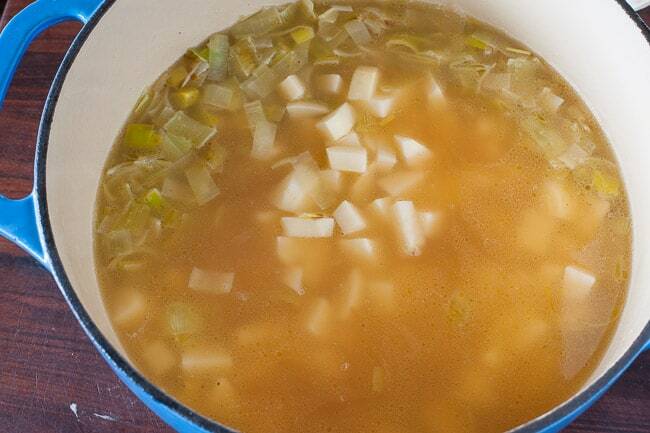 Melt butter in a dutch oven or stock pot and add leeks and garlic. Cook on medium heat, 5 to 7 minutes stirring to prevent browning. Add the wine, stock, potatoes, bay leaf and seasonings and bring to a boil. Cook 20 minutes to soften. While the soup cooks, lightly coat the leek slivers with olive oil and fry in a skillet on medium heat until nicely browned. Remove to a paper towel lined plate. 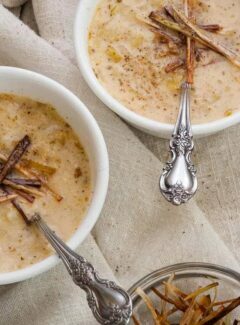 Once the potatoes are nicely softened, remove the bay leaf from the pot and use a potato masher to coarsely mash the potatoes to thicken the soup. Stir in the cream and let it warm up a couple minutes. Serve hot and garnish with the fried leeks. Can’t wait to make this.. It’s a beautiful bowl of heaven. I love potato leek soup. I will have to try this. This is so good, with some good bread it’s the perfect meal on a cold night!